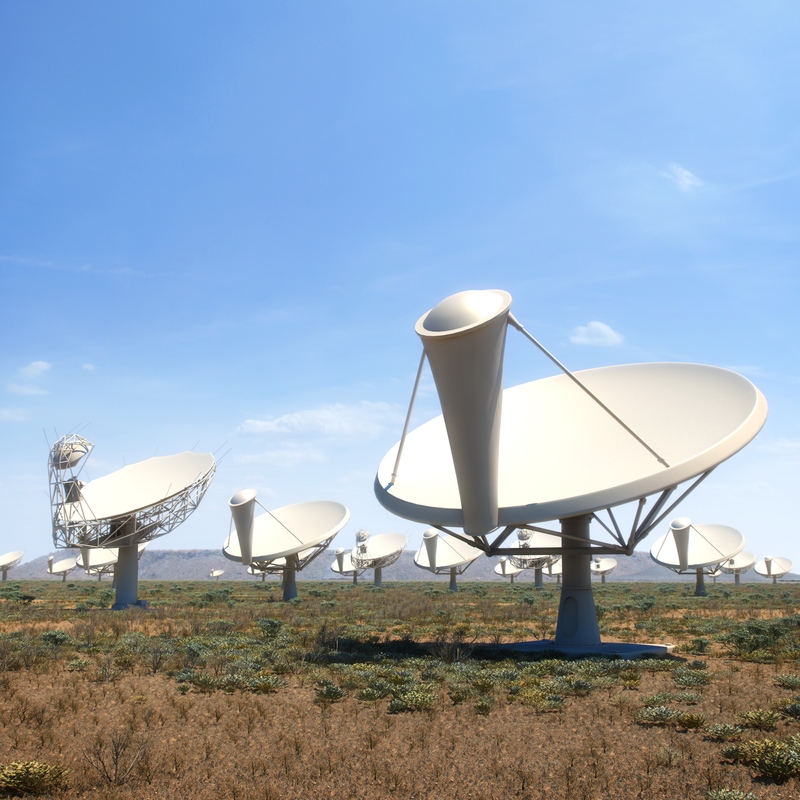 Artist impression of the SKA dishes on the South African SKA site, with MeerKAT dishes in the background. 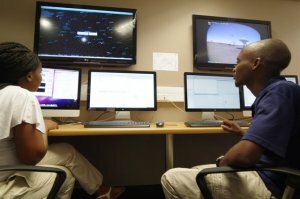 South Africa is not alone in hosting components for the SKA in Africa. Eight partner countries around the African continent will also have radio telescopes contributing to the network that will provide scientists with the world’s most advanced radio astronomy array. These include Botswana, Ghana, Kenya, Madagascar, Mauritius, Mozambique, Namibia and Zambia. 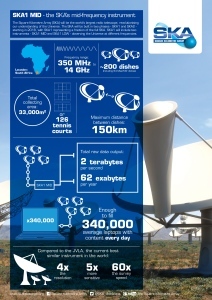 An infographic of SKA1 MID, the first phase of the SKA’s mid-frequency instrument. Mid frequency aperture array antennas are currently under development and could be installed in Africa in Phase 2. Click here to see the South African SKA site on Google maps. A photograph of the first MeerKAT dish antenna, installed on site in the Karoo in March 2014. Already in the process of development in the South African Karoo region, MeerKAT is a precursor to the full SKA system and as an independent instrument will itself be conducting critical science for some years before being integrated in to the first phase of the full SKA. 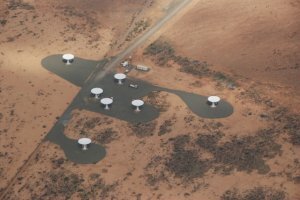 When completed the 64 offset Gregorian dishes each 13.5 m in diameter will provide invaluable scientific data ahead of the full SKA telescope becoming operational.The first seven dishes the precursor to MeerKAT are complete and are known as KAT-7. 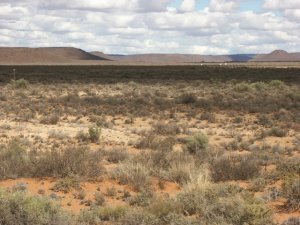 The first of the MeerKAT dishes was placed on site in 2014. 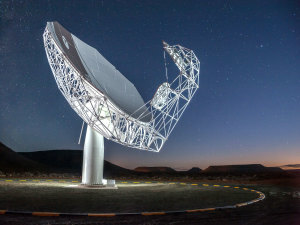 Working with South African industry and universities, and collaborating with institutions around the world, the South African team has developed technologies and systems for MeerKAT, including innovative composite telescope dishes and cutting edge signal processing hardware and algorithms. 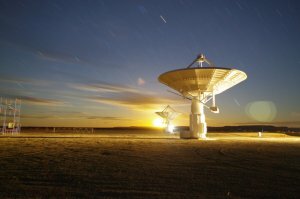 This innovation combined with the scale of the project has resulted in the first five years of observing time on being already allocated to international project teams for ten priority large radio sky surveys. 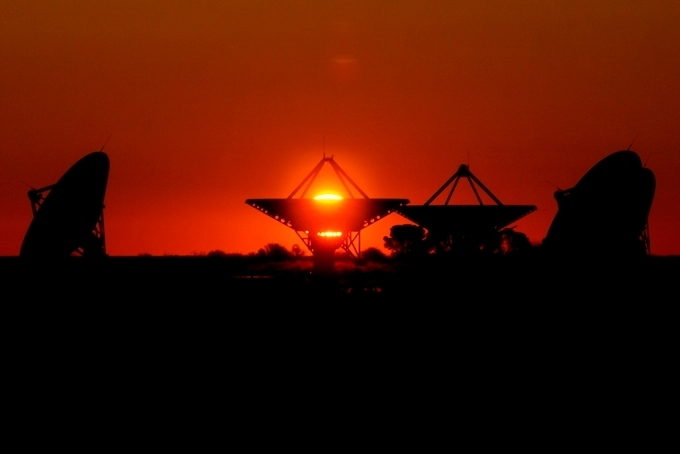 In 2013 all seven of the KAT-7 dishes were successfully fitted with “cold” radio receivers, which marks the successful completion of the telescope antennas. The first astronomical image taken with the cold receivers was of the galaxy Centaurus A, whose intense radio emission is powered by a massive black hole in the centre of the galaxy.